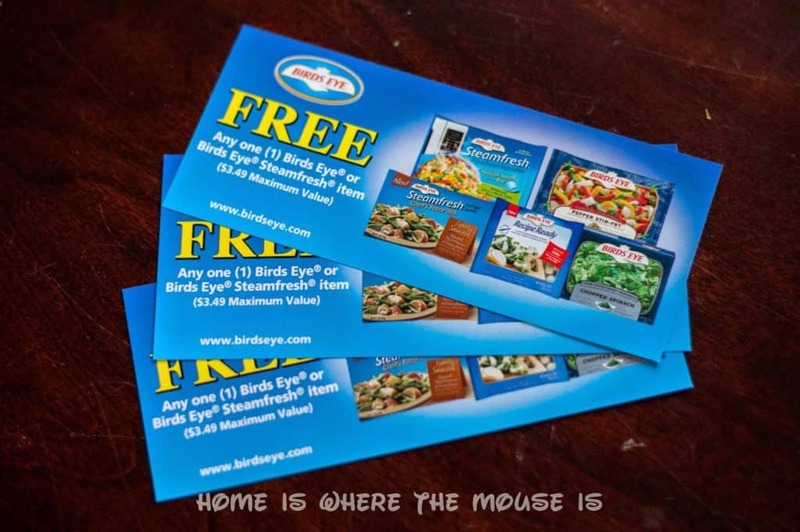 We were given free coupons in order to review Birds Eye products. The opinions here are our own. Most kids hate to eat their veggies (thankfully our kids are the exception). How can parents make eating healthy meals full of vegetables fun for kids? Starting this summer, Birds Eye is proud to announce their Step Up To The Plate movement with the goal of changing kids’ perceptions about veggies. They want kids to like veggies for life. Birds Eye has teamed up with Disney to show kids that veggies can be both fun and delicious by encouraging them to explore new healthy foods. The collaboration between Disney and Birds Eye will be brought to life this summer through Disney’s top-ranked kid and tween targeted media platforms, helping to give veggies an image makeover in the eyes of children.The Birds Eye Step Up To The Plate program aligns with Disney’s Magic of Healthy Living initiative and integrates Birds Eye into program sponsorships and “Disney’s Magic of Healthy Living TRYathlon Road Tour” scheduled for August and September 2014. It will also engage Disney Channel and Disney XD stars for a cross-platform sweepstakes. Together, Birds Eye and Disney will show kids that veggies can be both fun and delicious by encouraging them to explore new healthy foods. 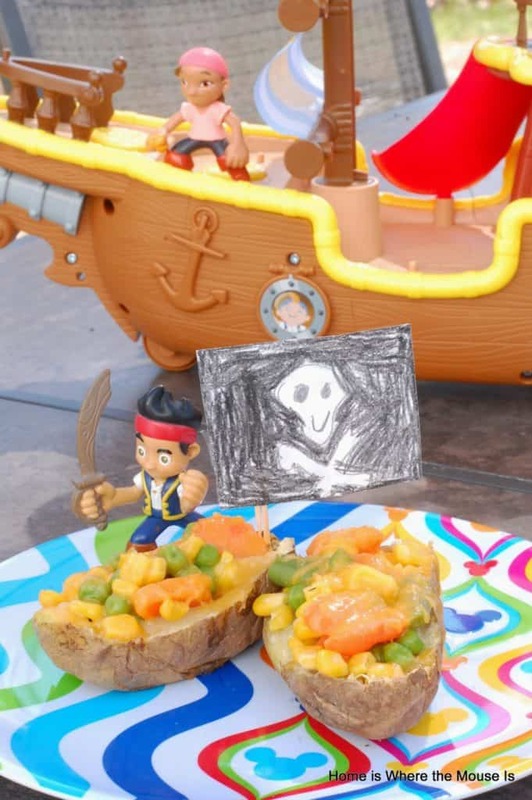 For our part, we’d like to share some fun kid-friendly recipes, with a Disney twist, that will help your family Step Up to the Plate. Clean and scrub potatoes. Poke with a fork and drizzle with olive oil. Sprinkle with salt. Bake at 400 degrees for 1 hour. Once done, let the potatoes cool until they are ok to handle. Cut in half lengthwise. Scoop out the centers of each half. (keep to make mashed potatoes at another time). Prepare Steamfresh veggies. Fill each boat with prepared veggies. Top with cheddar cheese. Place under the broiler until cheese is melted. Serve with green salad and enjoy! Heat oil over medium high heat. Cook chicken until browned. Add 1 T soy sauce. Cook for a minute or so. Add pepper mix. Stir and cook a few minutes. Add broccoli and last tablespoon of soy sauce. Stir and cook a few minutes more until ingredients are well combined. Serve over brown rice or quinoa (for extra protein). Families are encouraged to join the movement by following Birds Eye on Twitter @BirdsEye where they can stay tuned in for news about the Disney stars who will be participating, exciting prizes and more. Parents can use #ILikeVeggies to share their ideas for getting kids to enjoy veggies.Do you have a fun kid friendly recipe that will help kids eat their veggies? Let us know in the comments below. 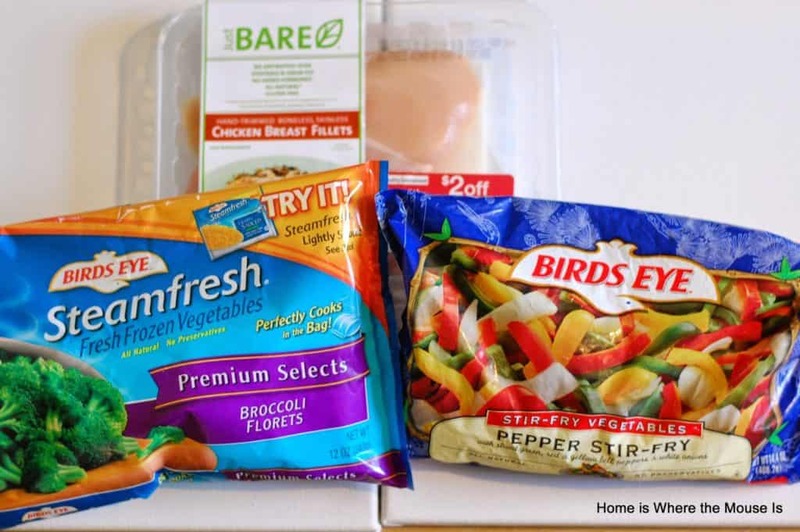 Three lucky readers will receive a coupon for Birds Eye products to help their family Step Up to the Plate. Use the Rafflecopter Entry Form to Enter to win your FREE Birds Eye or Birds Eye Steamfresh item (maximum value $3.49). Winners will receive manufacturer’s coupon redeemable for item. Giveaway open to residents of the USA and Canada, ages 18 and over.